I almost jumped out of my skin! So, I am in the backyard minding my own business, enjoying the cool morning – puttering – that’s right puttering. We have raised boxes in our yard and I was clearing one out. It was loaded with flowers and weeds. Suddenly and unexpectedly a furry critter scampers out of the raised box. I didn’t know what it was – it was the size of a roma tomato. I noticed a small weight in my gloved hands. I looked down and there was a critter in my hands! I thought it was a mouse, so I dropped the poor thing. The critter was fine, just momentarily stunned. They both scurried away. I don’t know where the mother is but I hope she comes to the rescue! I feel miserable because I think I ruined their cozy home. 😦 They are baby bunnies! So there isn’t any confusion in the future. haha. 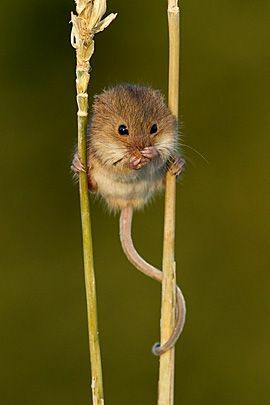 🙂 This is a baby mouse. 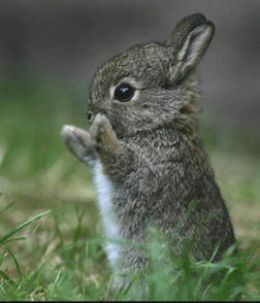 This delightful little critter is a baby bunny! Enjoy! Have a great day! pictures from pinterest. The Sidekick? The Unsung Hero/Heroine? Hi everyone! I hope you are well, staying cool and enjoying the summer. In books, it is unusual if the main character in the story is my favorite character. I know! I’m odd. 🙂 My favorite character is usually someone in the background. Someone who seems to be overlooked – a sidekick – the unsung hero? I’m not sure what to call this seemingly insignificant character who is actually very significant! For example, I just finished reading, “To Win Her Favor,” by Tamera Alexander. Well, General Harding was one of my two favorite characters in the story. He was so important in Cullen and Maggie’s life! He was so very important. 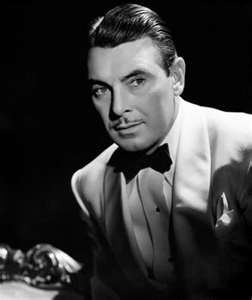 Or, Dr. Watson in the Sherlock Holmes stories! Need I say more??? Well, it’s the same in movies. There is usually a character/sidekick/unsung hero or heroine that captures my attention and heart. I am going to address a few of these characters now. These are in no particular order. 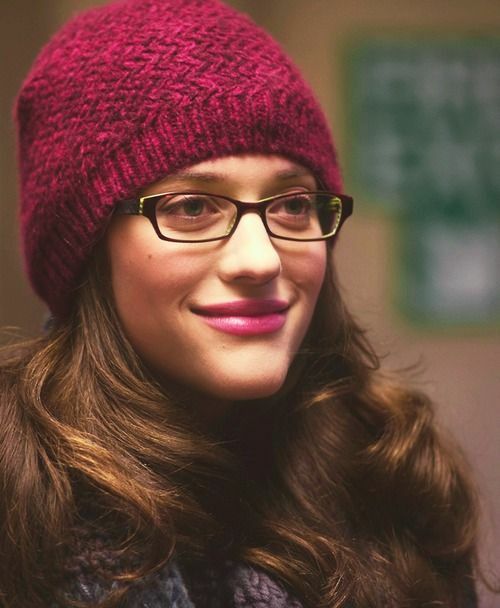 How can I not love Darcy from the “Thor” movies??? She’s amazing. She’s funny, smart and she stands with Jane through – well – everything! Roustabout? Is she the voice beyond reason when reason makes no sense??? I really love her! What’s not to love??? 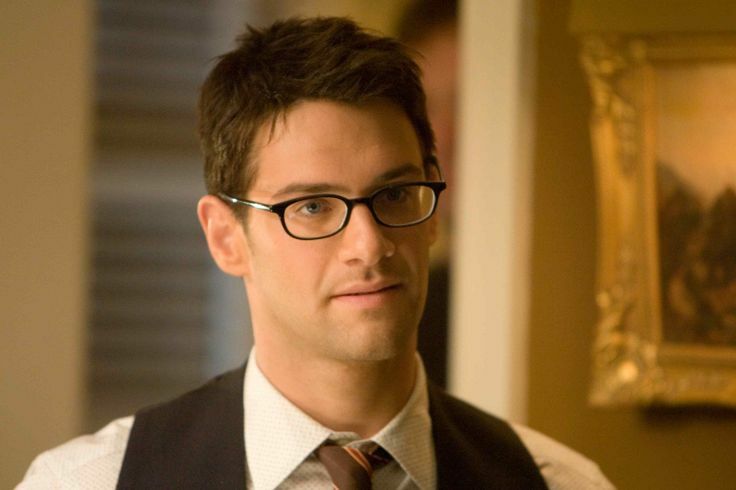 Do you remember Riley from the National Treasure Movies??? He’s great. I gotta love him. 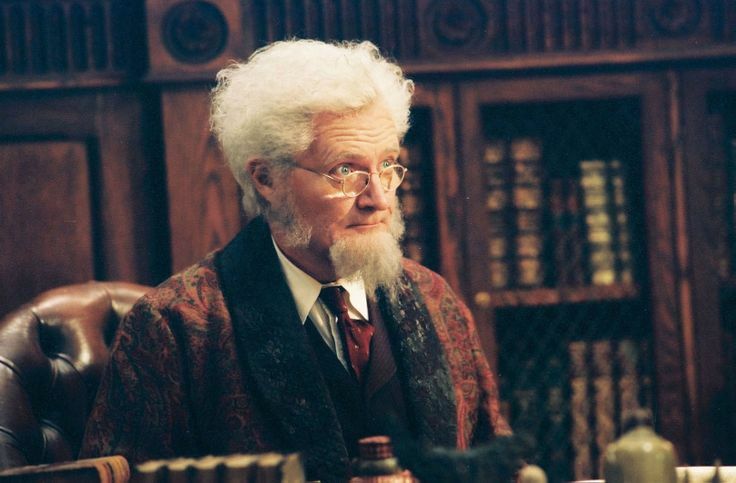 He’s smart and funny and a great sidekick. Didn’t he write a book??? I think, he’s easy on the eyes. Oops. hehe. Did I say that out loud??? Okay! This guy needs to seriously clean up his language, but really, I do like him. He has a terrible bedside manner. He has this sarcastic humor that’s great. He’s just got an all around bad attitude. And, he’s a doctor??? I really like this character, in spite of his flaws. I mean really!!! Ahem. Oh, another one who is easy on the eyes, hehe. Enjoy and Happy Reading. pictures from pinterest. 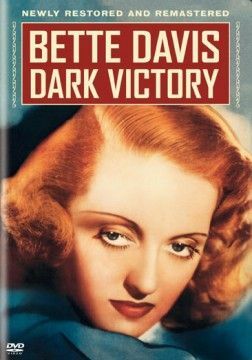 Move over “Casablanca” and make room for “Dark Victory” starring Bette Davis, George Brent and Geraldine Fitzgerald. “Casablanca” has always been my favorite classic movie and it still is, however, there is now a tie for first place! Bette Davis is a young socialite, party girl and an excellent horse woman. After several months of worrisome symptoms, she is told, by her doctor, she is definitely ill. And so, Bette Davis must come to terms with her condition and her future. Rick and I watched this movie a few days ago and it is so good. We both liked it. 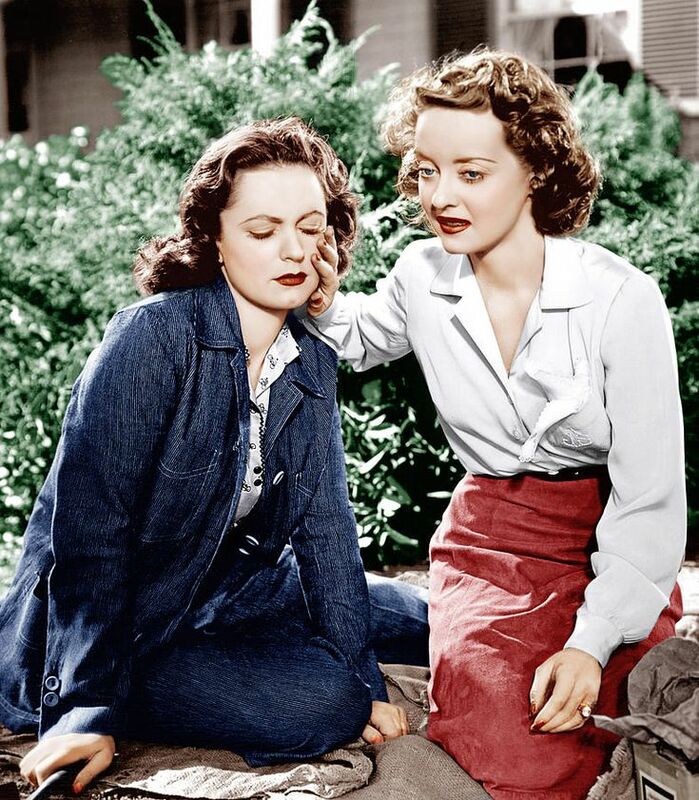 I read somewhere, Bette Davis won an academy award for best actress in this movie! Noteworthy – Humphrey Bogart and Ronald Reagan are supporting actors. Join me in a BIG Welcome to Adria!!! – So, without further ado, here’s Adria! 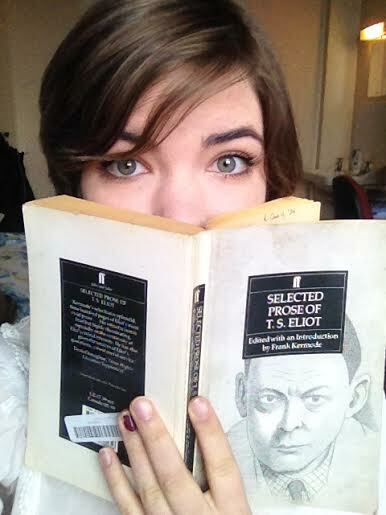 This book, “Selected Prose,” by T. S. Eliot, has influenced my thinking, parts of it and I have noticed, make little appearances in my writing. It’s a beautiful selection of Eliot’s practical and personal essays that critique written material and critique the methods with which people critique written material (viz. poetry). 1.) When did you start writing poetry? Answer: I remember writing poetry for school assignments in the 2nd and 3rd grade. Writing poetry of my own volition began when I was about twelve years old, when some of my journal entries morphed into poems. 2.) How does your style of poetry reflect you personality? A.) Wordplay and phrase-play. Outside of my writing life I play with words a lot – puns, for example, are an integral part of my personality. B.) Word definitions and juxtapositions to emphasize deeper themes. While going about daily life, I do a lot of thinking. I remind myself of the purpose behind (or “definitions” of) what I am saying or doing. I also try to juxtapose people and situations in a way that brings to light peoples’ likes and dislikes. C.) Light imagery. I best comprehend deep ideas by admiring the sweeter, lighter bits of life. It’s like trying to see the bottom of a deep lake. You could dive down to see it, or you could use a flashlight from above the water to peer in. My everyday thoughts and conversations, like my poetry, often use this flashlight method to observe life. 3.) Where does your inspiration come from? Answer: My inspiration come from many places. I have a poem about underwater tea parties, one about a middle-aged man on a bus, one about making beds, one about playing cricket in India, many about drinking tea. . . The commonality is this: in each of these poems, I created a distinct environment. People remember events based on locations, smells, feelings, etc., and I want to “remember” events I have never personally experienced. We should, I think, learn what it’s like to be a middle-aged man; we should slip into the shoes of a girl in a snowstorm; and, while we’re at it, why not learn from seagulls, cherry trees, and other seemingly insignificant parts of life? In short, I am inspired by little things that help with understanding big things. 4.) If there is one thing you want people to come away with when they read your poetry, what is it? Answer: Good question. Every person experiences art in a unique way. That being said, an art piece should be able to establish an overall impression. 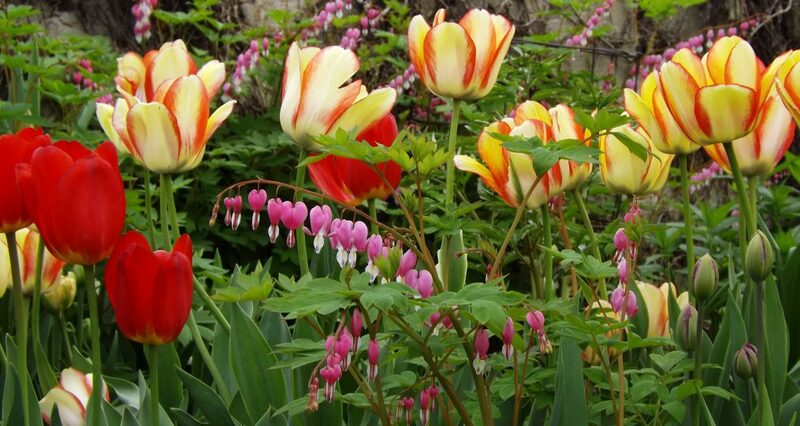 For my poetry, I hope that impression is this: life is meaningful. Like I said before, my poems usually lock onto a little thing – a single image or act – and then use that little thing to demonstrate a big thing. The “big things” I like to point towards are realities nearly everyone experiences at some point: love, hope, despondency, admiration, guardianship, helpfulness – to name a few. I hope my poetry shows people how to find the sometimes hidden meanings in everyday life. 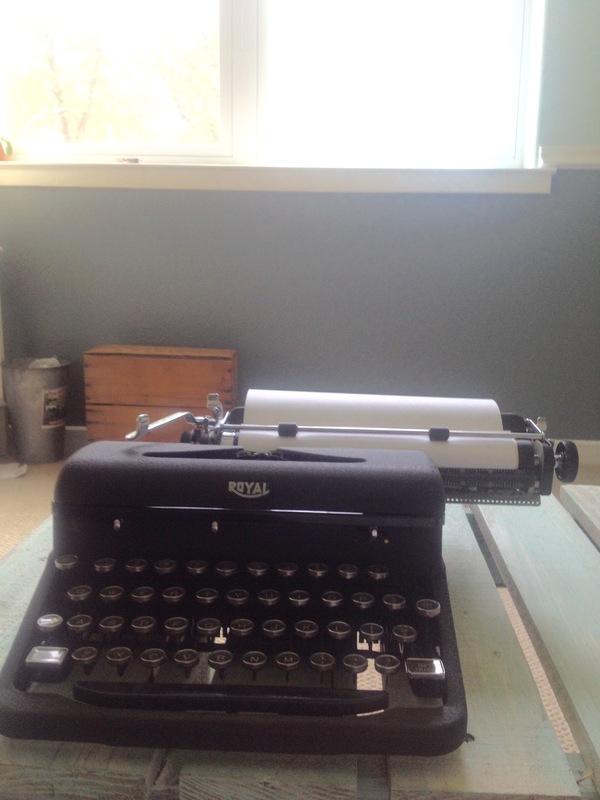 Though I do not use my typewriter for all my writing (far from it, actually), it captures my ideal for writing poetry. It is old-fashioned, sounds lovely , and the font is somehow endearing. Adria, thanks again for visiting us at the cottage. :) Blessings to you! Yesterday I posted for the first time, my favorite male villains from the big screen, now today, I’ve decided to reveal my favorite female villains/villainess. This seemed to take more thought. I don’t go to the movies a lot, but when I do go, I see some interesting films. 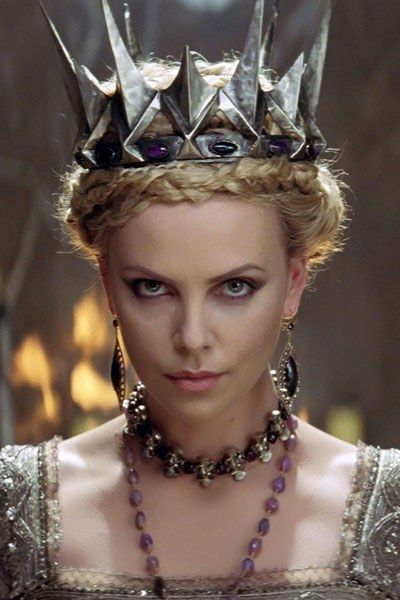 How many remember, “Snow White and the Huntsman?” Oh yea. She was a piece of work, the villainess! I think she needs a hobby. What are your thoughts? B.) 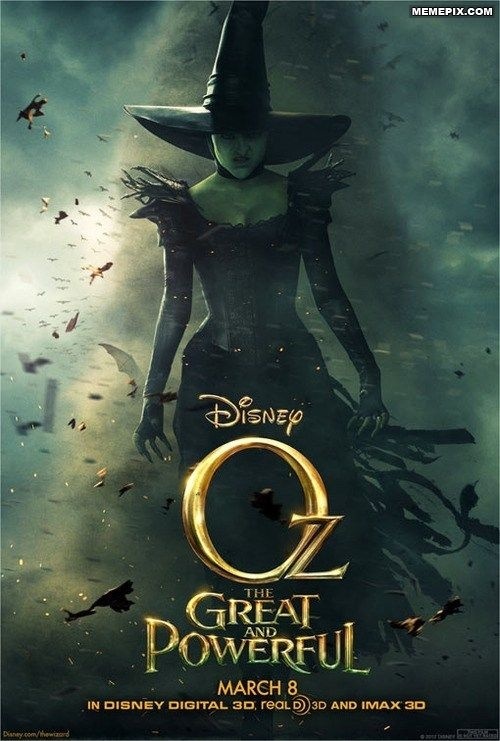 Theodora, from, “Oz the Great and Powerful.” Do you have a favorite villainous whom I have not listed. I’d like to hear from you. :) Enjoy! The Igiby’s are back and, once again, I am the last person to read this book, “North! 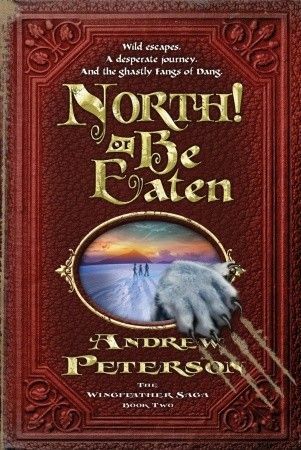 or Be Eaten,” by Andrew Peterson. The title is very honest! If the Fangs of Dang don’t get ya, the trolls might or the rockroachs are sure to devour you. HA! So, I say, North! Igibys and be very careful! So, Janner, Tink, Leeli, Podo, Oskar and Mom are back and on the journey of a lifetime full of adventure, challenging them to the limit. I love Oskar. He loves to read and he is normally quoting someone. His quotes are hilarious. 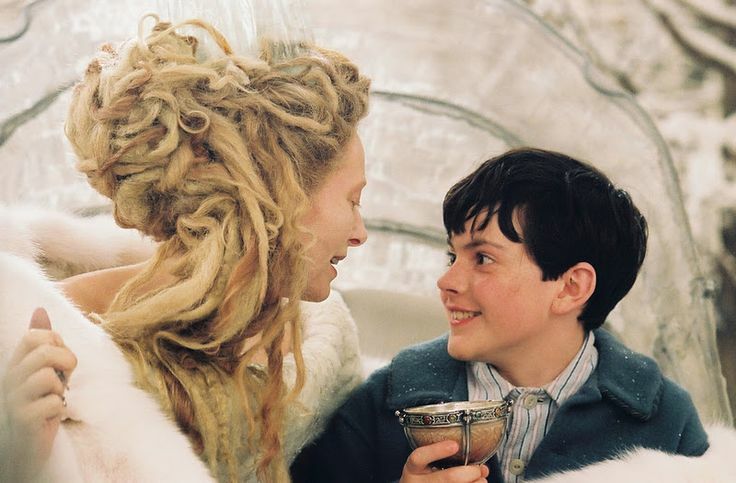 So, the Jewels of Anniera are traveling to the Ice Prairies and ultimately, hopefully, to Anniera! If there is one person out there who hasn’t read, “North! or Be Eaten,” give it a gander. I would read the books in order. The first book is, “On the Edge of the Dark Sea of Darkness.” Happy Reading! picture from pinterest. Ok! Ok! I admit it! 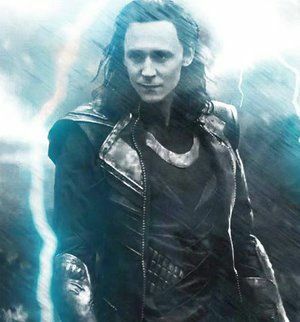 Rick and I watched, Thor The Dark World, yesterday and I could just smack Loki! I could just smack him really hard! In fact, I could smack him really really hard. Did I mention, I could smack him??? In fact, Jane did smack him! Ahem. Now that I have that out there, I feel better:) In my opinion, an author has created a most excellent male villain when the reader or, in this case, the viewer feels like slapping the villain. 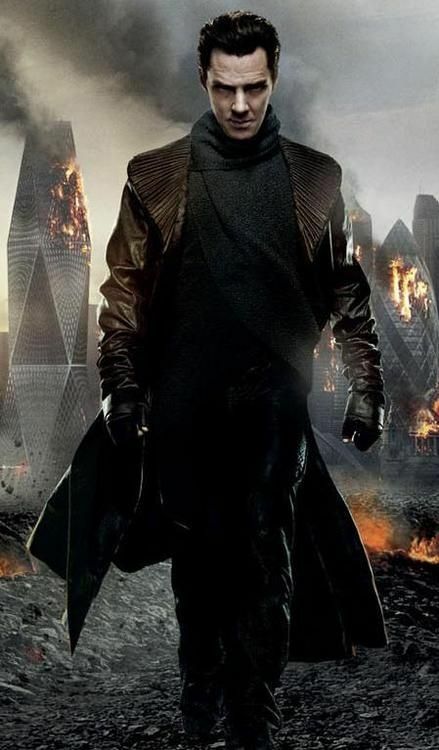 Loki is one of my favorite male villains. And then there is Kahn! 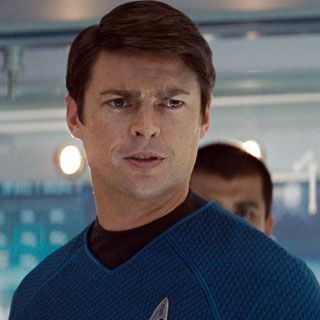 I know it has been awhile since we watched, Star Trek Into the Darkness, however, without a doubt, Kahn is a great villian! I think it’s a toss up. I’m not sure who is worse, Loki or Kahn! They both bring new meaning to the bad guy! So, who are your favorite male villains? I’d love to hear from you. Enjoy! pictures from pinterest.